The Vedas are probably the earliest documents of the human mind and is indeed difficult to say when the earliest portions of the Vedas came into existence. As the ancient Hindus seldom kept any historical record of their religious, literary and political realization, it is difficult to determine the period of the Vedas with precision. Historians provide us many guesses but none of them is free from ambiguity. Each Veda consists of four parts â€“ the Samhitas (hymns), the Brahmanas (rituals), the Aranyakas (theologies) and the Upanishads (philosophies). 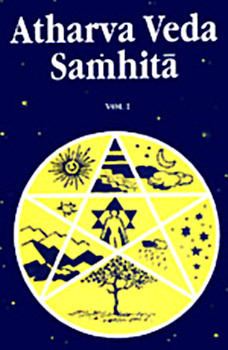 The collection of mantras or hymns is called the Samhita. The Brahmanas are ritualistic texts and include precepts and religious duties. Each Veda has several Brahmanas attached to it. The Upanishads form the concluding portions of the Veda and therefore called the â€œVedantaâ€ or the end of the Veda and contains the essence of Vedic teachings. The Upanishads and the Aranyakas are the concluding portions of the Brahmanas, which discuss philosophical problems. The Aryanyakas (forest texts) intend to serve as objects of meditation for ascetics who live in forests and deal with mysticism and symbolism. Although the Vedas are seldom read or understood today, even by the devout, they no doubt form the bedrock of the universal religion or â€œSanatana Dharmaâ€ that all Hindus follow. The Vedas have guided our religious direction for ages and will continue to do so for generations to come. And they will forever remain the most comprehensive and universal of all ancient scriptures. 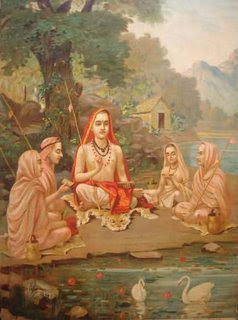 The Brihadaranyaka Upanishad, which is generally recognized to be the most important of the Upanishads, consists of three sections ('Kandas'), the Madhu Kanda which expounds the teachings of the basic identity of the individual and the Universal Self, the Muni Kanda which provides the philosophical justification of the teaching and the Khila Kanda, which deals with certain modes of worship and meditation, ('upasana'), hearing the 'upadesha' or the teaching ('sravana'), logical reflection ('manana'), and contemplative meditation ('nididhyasana'). The Mandukya Upanishad belongs to the Atharva Veda and is an exposition of the principle of Aum as consisting of three elements, a, u, m, which may be used to experience the soul itself. It contains twelve verses that delineate four levels of consciousness: waking, dreaming, deep sleep, and a fourth mystical state of being one with the soul. This Upanishad by itself, it is said, is enough to lead one to liberation. 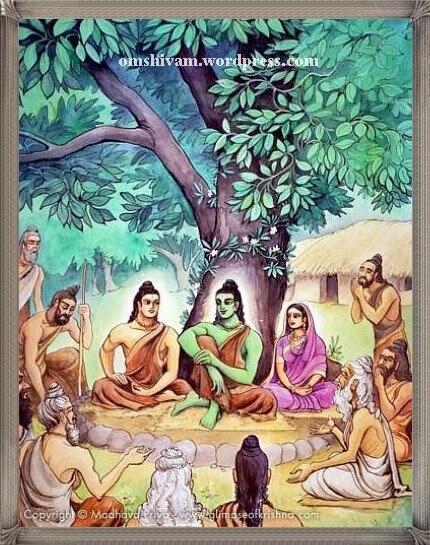 "Upanishad - The Supreme Work of the Indian Mind"
The Upanishads form the core of Indian philosophy. They are an amazing collection of writings from original oral transmissions, which have been aptly described by Shri Aurobindo as "the supreme work of the Indian mind". It is here that we find all the fundamental teachings that are central to Hinduism â€” the concepts of 'karma' (action), 'samsara' (reincarnation), 'moksha' (nirvana), the 'atman' (soul), and the 'Brahman' (Absolute Almighty). They also set forth the prime Vedic doctrines of self-realization, yoga and meditation. The Upanishads are summits of thought on mankind and the universe, designed to push human ideas to their very limit and beyond. They give us both spiritual vision and philosophical argument, and it is by a strictly personal effort that one can reach the truth. The term 'Upanishad' literally means, "sitting down near" or "sitting close to", and implies listening closely to the mystic doctrines of a guru or a spiritual teacher, who has cognized the fundamental truths of the universe. It points to a period in time when groups of pupils sat near the teacher and learnt from him the secret teachings in the quietude of forest 'ashrams' or hermitages. In another sense of the term, 'Upanishad' means 'brahma-knowledge' by which ignorance is annihilated. Some other possible meanings of the compound word 'Upanishad' are "placing side by side" (equivalence or correlation), a "near approach" (to the Absolute Being), "secret wisdom" or even "sitting near the enlightened". The human being is the central mystery of the universe holding the key to all other mysteries. Indeed, human beings are our own greatest enigma. As the famous physicist Niels Bohr once said, "We are both spectators and actors in the great drama of existence." Hence the importance of developing of what is known as the "science of human possibilities." It was such a science that India sought and found in the Upanishads in an attempt to unravel the mystery of human beings. The purpose of the Vedas was to ensure the true welfare of all beings, worldly as well as spiritually. Before such a synthesis could be achieved, there was a need to penetrate the inner worlds to its depth. This is what the Upanishads did with precision and gave us the science of the self, which helps man leave behind the body, the senses, the ego and all other non-self elements, which are perishable. The Upanishads tell us the great saga of this discovery â€” of the divine in the heart of man. Very early in the development of the Indian civilization, man became aware of a strange new field of human experience â€” the within of nature as revealed in man, and in his consciousness and his ego. It gathered volume and power as years rolled on until in the Upanishads it became a deluge issuing in a systematic, objective and scientific pursuit of truth in the depth of experience. It conveys to us an impression of the tremendous fascination that this new field of inquiry held for the contemporary mind. In the Upanishads we get a glimpse into the workings of the minds of the great Indian thinkers who were unhampered by the tyranny of religious dogma, political authority, pressure of public opinion, seeking truth with single-minded devotion, rare in the history of thought. As Max Muller has pointed out, "None of our philosophers, not accepting Heraclitus, Plato, Kant, or Hegel has ventured to erect such a spire, never frightened by storm or lightnings." Bertrand Russell rightly said: "Unless men increase in wisdom as much as in knowledge, increase in knowledge will be increase in sorrow." While the Greeks and the others specialized in the subject of man in society, India specialized in man in depth, man as the individual, as Swami Ranganathananda puts it. This was one ruling passion of the Indo-Aryans in the Upanishads. The great sages of the Upanishads were concerned with man above and beyond his political or social dimensions. It was an inquiry, which challenged not only life but also death and resulted in the discovery of the immortal and the divine self of man. The Upanishads have given us a body of insights that have a universal quality about them and this universality derives from their impersonality. The sages who discovered them had depersonalized themselves in the search for truth. They wanted to go beyond nature and realize the transcendental nature of man. They dared to take up this challenge and the Upanishads are the unique record of the methods they adopted, the struggles they undertook and the victory they achieved in this astonishing adventure of human spirit. And this is conveyed to us in passages of great power and poetic charm. In seeking the immortal, the sages conferred the immortality upon the literature that conveyed it. We are pleased to inform you all that DIU is going to observe the upcoming Victory Day. In this regard a discussion session will be held on December 17, 2009 at 3:30 PM in the DIU Auditorium. All the students, teachers and officials are invited to attend the session. I hope you all will agree with me that the whole world is heading towards economical, political, environmental and other crisis because of practicing things Unethically. To be true we all are very busy with our self benefits and try to achieve our target by any means even we donâ€™t bother whether our benefits causing damage to others or not. Itâ€™s time to think twice and dig our history/culture where we will definitely find that our elder generations have always taken their life much more positively where human relation and views were equally respected. Ethics is a fact of continuous practice in every aspects of daily life for self enrichment and to become a real Human in true sense. Thus, I would request you all to share your personal views and feedback regarding the above, so that when DIU students will be Graduated they will not only be ready to face the 21st century global challenge but also one of the best human being.